CO2 Is Greening The Planet: African Savannahs Getting a Makeover to Forests | Watts Up With That? I’ve covered this before, such as when NASA posted satellite data showing that the biosphere is booming thanks to CO2 fertilization. This new study from Goethe University in Frankfurt, Germany suggests that the Umbrella Thorn Acacia trees will make a comeback. A new study published today in “Nature” by authors from the Biodiversity and Climate Research Centre and the Goethe University Frankfurt suggests that large parts of Africa’s savannas may well be forests by 2100. The study suggests that fertilization by atmospheric carbon dioxide is forcing increases in tree cover throughout Africa. A switch from savanna to forest occurs once a critical threshold of CO2 concentration is exceeded, yet each site has its own critical threshold. The implication is that each savanna will switch at different points in time, thereby reducing the risk that a synchronous shock to the earth system will emanate from savannas. So forestation and de-forestation are both bad things……or do I read this the wrong way? Could the decimation of the large animal population of the Savana have anything to do with this uptick in tree growth? I would think the former large Elephant population could not have been all that friendly to slow growing trees. And what about increased urbanization of the Indiginous population? Seems that there might be numerous factors that might be at play here. Save the barren wastelands of the planet from the threat of wuthering vegetation! Experimental studies have generally shown that plants do not show a large response to CO2 fertilization. Which planet have the flora they are referring to? “CO2 is plant food”. There are lots of them, and many are humorous as well as informative. It’s the lack of elephants, natures bulldozer, that’s the problem. Interesting redefinition of the word “catastrophic”. Apparently gradual catastrophes are likely. I think Peter (@7.45) has it correct – the incerase in trees is a result of decreased grazing. You can see this anywhere there is a reduction in grazing animals and I don’t suppose African savannah’s are any different to other grasslands. Their early statement is pretty bizarre “Experimental studies have generally shown that plants do not show a large response to CO2 fertilization.” Are they trying to say that all the glasshouse growers are wasting their money and that the collection of papers on CO2 Science are not experimental studies? Anthony, I take it you read nature mag for the humor factor. But they are not even a good joke. I am constantly amazed that these people have created their own illusory ‘static’ nature. Nature changes all the time (the real thing, not the magazine). This is how and why life changes. We should rejoice in more diverse habitats and opportunity for life, but suddenly it’s a Bad Thing. Only a modelist would think trees are catastrophic. So, it would appear that Al Gore, the Team, Climate Science and the IPCC, in wanting us to cut back to per-industrial CO2 levels, are in fact advocating that we starve trees. Looks like a natural cycle to me. Trees grow – locals burn the trees for fuel (no alternative due to the green brigades madness) – more co2 plant food released – trees grow etc etc. The “tree-ing” of savannas probably isn’t due to CO2 increase as much as it is due to ENSO oceanic-atmospheric oscillations providing necessary growing conditions for trees. And it could also be related to an increase in whatever animal spreads the seeds into the savanna. For example, might tree eating animals such as giraffs, be on the increase due to better preservation efforts? Animals like that are great seed spreaders. reducing the risk that a synchronous shock to the earth system will emanate from savannas. Wow, that is a risk I would never have thought of…boy what great imagination! Catastrophic regime shifts? Are they expecting a Coup? Just think…those devilish savannahs, lurking…lurking, ready to pounce synchronously and shock the earth. Diabolical! The most fundamental assumption of climate change alarmism: Change from some apparently immutable base line, one so small as to be hidden by the error bars. Yet it marches on, ambushing, er, or rebushing, savannahs everywhere. Shocking! More baffle gab from the model people. My experience in the parkland of Alberta and Saskatchewan tells me fire is the most important component followed by moisture in the grasses vs trees balance. Something, by the way, known for generations. More trees due to that evil changing climate…. We can’t have that! We must reduce CO2 so that we keep those lovely grasslands as they are…errr were…errr should be? My question is: Will the Greens cut down the offending trees in the meantime to give the poor old grass a chance? They may have to ask industrialists to sustainably harvest the trees (using green methods, of course) to keep the exact number that used to be where they believe it should be…. The spread of acacia may cause a dramatic difference, if true. Once established it is extremely hardy, with the deepest root system of any flora, it can reach down to a water table and is salt tolerant. In most places it does not create a dense forest, but rather a scattered tree line. But it hosts a large variety of fauna, including honey bees that will further impact. Both the leaves and green seed pods are edible. The mulch ring, while not great, will allow moisture retention and cooler temperatures. Love the bit about “reducing the risk that a synchronous shock to the earth system will emanate from savannas”. Sounds pretty much like nature’s usual gradual re-accommodation to change to me, but of course “gradual” doesn’t sound very scary, unlike “synchronous shock” talk. You are right, large areas of Africa have alternated regularly from forest to Savannah over the last million years or so. We are seeing here the “the world was created in 1850” mindset of the AGW camp. The only creative challenge in these people’s minds is how to make any change associated with increasing CO2 look like a dire catastrophe. So now the hymn sheet is “trees are bad, grass is good”. But hang on – when ecologists talk about deforestation in Brazil etc and conversion of forest to grass-based agriculture, then it was “trees are good, grass is bad”. Where have I read something like that before? O yes – it was in Animal Farm, by George Orwell. The pigs were taught to sing “two feet bad, four feet good”. But then Napolean and the ruling pigs learned to walk bipedally themselves, so the correct song was changed to “four feet bad, two feet good”. I remember a TV programme presented by Archbishop Attenborough about elephants changing the landscape from savannah to forest over generations. The following is from the WWF website. Has elephant behaviour been taken into consideration in this study? Elephants love grass and will knock down Acacia trees if they become too plentiful. They are one of the reasons that the savannah survives. Nature’s bulldozers indeed. Henceforth, the Holocene shall be known as the Hollowcene, wherein it has been shown, and repeatedly replicated, that in the 21st century, the great “explosion” of CO2 is strongly and positively correlated with the explosion of empty PhDs, devoid of skills, intellect and acumen, wrapped as they are with all the glitter akin to galaxies, but like the galaxies, comprised of an inner core from which no useful energy emanates. If you do not want the trees, just cut them down. People will welcome the fire wood, and timber. Humans have mastered slash and burn thousands of yeras ago. Isn’t the acacia eaten by the tallest animal on the savannah …? Wasn’t the Sahara a green, really green region 10 000 years ago …? The studie is old news …! look at the charts and see how the effect is variety dependent. someone did not learn from Al, who knows everything better on climate…. All we know so far is that this is a study. Did they use computer models for this study? When we find this out then we can decide if we need to be skeptical. “Experimental studies have generally shown that plants do not show a large response to CO2 fertilization” Which studies might these be? The folks over at CO2science.org hav catalogued an impressive array of studies demonstrating large responses over a wide variety of plants, including (in fact mainly considering) commercial varieties. We are also seeing a shift in the N.H. jet streams, which are up to 500km further south in both summer and winter. This is not only delivering much colder weather to northern Europe, it is also greening North Africa and sending the Sahara further south (hence the drought in the Saheel). Total bunkum. CO2 went from 0.03% of the atmosphere to 0.04% of the atmosphere. This isn’t enough to have any significant effect on temperature, and it certainly isn’t going to have any significant effect on plant growth. It might have a minimal effect on growth rates, but it’s not going to change grasslands into tropical rain forests. Sorry this doesn’t pass the smell test, Anthony. @R. Craigen: CO2science.org is no better of a source than pro-AGW sites. It’s an activist site too, and so not interested in real science. It’s just advocated the opposite view point. There is NO evidence that a tiny, almost immeasurably small change in a trace gas can effect global temperature or global flora. Come on, think about it! The concentration of CO2 in the atmosphere has increased less than one one-hundredth of a percent since 1900. Maybe if CO2 suddenly made up say 1% of the atmosphere, it might be believeable. eqibno asks….My question is: Will the Greens cut down the offending trees in the meantime to give the poor old grass a chance? But not to worry. I have it on good authority(same sources Higgins uses) that it is actually just astroturf. CO2 has been much higher in the geologic past, when the biosphere teemed with life. The biosphere is currently starved of CO2, thus even a small increase has significant results. More CO2 is better. There is no downside with either current or projected concentrations. It’s all good. Why is it that ANY change in the natural environment is immediately labeled “catastrophic” based upon nothing other than some biologists idea of what is ‘supposed to be’ based upon what they saw on Mutual of Omaha’s Wild Kingdom as a child?. Apparently they have all forgotten that a few shakes of an aeon’s tail ago all of Africa’s savannahs were climaxed tropical rainforests, the ones where our proto-hominid ancestors used to live – up in the trees. The consequence of the ‘catastrophe’ of that particular tropical biome drying up was – us! – and all of those lovely grazing ungulates [who may have to graze a little harder to keep their grasslands open]. Now while I am perfectly willing to entertain the notion that increased CO2 fertilization will indeed lead to regime changes away from open grasslands to forests – we’ll see what happens. I seriously doubt though, that we will see the sudden disappearance of the grasslands and their grazing herds, unless we get rid of all of the grazing ungulates FIRST. It is instructive to look at what happened the North American grasslands after the bison was eliminated [largely eliminated]. The bison kept the great prairies, prairies, against the natural tendency towards forestation. For all in all, I have a hard time imagining a trend towards forestation as anything other than a large net benefit for Africa, and the Earth as a whole. It depends on the absolute temp. The C-3 carbon capture enzyme Ribulose Bisphosphate Carboxylase has a much lower PKA above about 88F and actually respires above about 92F species dependent).The C-4 Phospho-enol-pyruvate Carboxylase functions with a lower dropoff up to about 96F (species dependent). Reasonable, considering C-4 plants have a higher Water use Efficiency on average. Oh no! Looks like another hockey stick. Is it precipitation that causes the growth, or temperature or CO2? They didn’t test trees, they tested leaves. So, in summation, if all these variables favor C-3 plants, they will grow. A classic example of the ‘law of unexpected outcomes’. Well, maybe it’s not unexpected to people who really understand savannahs, but I’m sure it would be unexpected to computer modellers who in the main have little understanding of ecosystem biology. Which implies the desertification of Africa is over? Which would reduce the wind blown Sahara dust from killing the reefs in the Caribbean basin. Both of which could be interpretted as good news. But wait…. During the Roman Warm, much of what is now open savannas, was closed savannas or forest. The savanna is just another part of “The Circle of Life”. Which implies the desertification of Africa is over? The vegetation shifts that the Higgins and Scheiter study projects are an example of what some theorists call catastrophic regime shifts. Such catastrophic regime shifts can be triggered by small changes in the factors that regulate the system. This is an example of Catastrophic Anthropogenic Regional Greening. 😉 No good ever comes from carbon dioxide. It’s all bad no matter how you look at it. Less green = bad. More green = bad. More trees = bad. Fewer trees = bad. It’s all BAD. Caveat to bear in mind is that depending on the type of tree and the local properties that soil entails there is a side effect to increased % CO2 in that tree canopy. This is not even taking into account seasonal soil moisture and the type of preference of every tree there. The photosynthesizing period of the tree is when the extra CO2 furnished Carbon can lead to more tree root mass; and the result may start to show up in some types that same day and in others after a delay of almost a month. So a seasonally adjusted rhythm of canopy is laid over this dynamic if tree’s leaves are no longer green (yellow) or many of canopy leaves have fallen. The subtle factor is that all the above ground CO2 induced tree growth is also increasing the tree root surface (due to more available Carbon building block molecules). However, during the daytime tree’s photosynthesizing actually results in all that extra below ground surface area of tree roots undergoing a process of increased soil respiration. Which means the available local soil moisture is wicked toward the root & proportionately more “water” evaporation occurs below that tree canopy enjoying extra CO2. So, the result is under that CO2 enriched tree relatively less moisture is in that soil and then the savanna (grass) under that canopy will have to become more tolerant of lower soil moisture – or die back it’s own bio-mass so the grass can get by despite greater degree of soil respiration. You may be right, Jim, but isn’t an increase from .03% to .04% a double digit increase? — something on the order of 20-30%. If I’m understanding this correctly, that would seem possibly quite significant enough to have a measurable impact on plant growth. It all depends how much of a limiting factor Co2 was given the the other constraints of the plant’s environmental system. If Co2 was the limiting factor, small amounts could have large effects — or, at least, I would want to talk to a real expert before saying that the effects are necessarily small. What about cutting down all those pesky trees in Africa and stuff timber into abandoned coal mines? Is not it an excellent opportunity to sequester carbon? The project could easily be financed by, let me see, taxpayer’s money? Or does public debt sound better? A Discovery channel show suggested that the Sahara “greens” when the summer N hemisphere receives the greatest solar input — every 20k yrs (even during glacial periods). Supposedly due to the summer monsoon expanding & encompassing much or most of it. Right now we’re at the min summer input there, so its bone dry, unlike 10k yrs ago. Interesting if CO2 could help restore even a part of it to a savannah during a summer solar-min period. Interesting redefinition of the word “catastrophic”…..
That was the first thing I noticed. Can’t these supposed scientists write anything with out the scare words like catastrophic anymore? What this study shows is a return to the good ole’ days. Since CO2 decreases with a decrease in temperature the earth was heading into a level of CO2 that would be too low for C3 plants (most varieties) to reproduce especially when you include the short summers during the next full glaciation. The C4 plants would have a competitive advantage. In another couple of interglacial cycles you could be seeing the complete wipe out of trees and other C3 varieties. Mankind’s burning of Coal and oil has literally given trees a new lease on life! To bad the idiot econuts haven’t figured that out yet. It depends on whether or not the plant is C3, C4 or CAM. C3 plants are more responsive to increases in CO2 because they are closest to starvation levels. Savanah Grasses can be C3 or C4 (drought/heat tolerant) and the C4 type would therefore more tolerant of lower CO2, Trees are generally C3 as is the vast majority of vegetation. I can not find whether Umbrella Thorn Acacia (Acacia tortilis) is C3 or C4. Woody plants are typically C3 in their mode of Photosynthesis, whereas most of the low to mid elevation tropical grases are C4…. increase in the pH and salinity of the soils and the input of volcanic natrocabonatitic ash, as well as an apparently drier climate. Thus, the modern eastern Serengeti short-grass plain around Olduvai is a special type of volcanic-ash edaphic grassland in a semiarid rain shadow created by the volcanic highlands immediately to the east. Good Lord. What would it be like to sit and have a beer with a negative sourpuss like this? Horror of horrors, next we will have to suffer the foresting of the Sahara. Weren’t we bemoaning the drying up of Lake Chad and the desertification of the savanah grasslands and the devastation of of ever more wildfires? Interesting the trees on the savannah known as “orchard bush” because of the spacing of the trees. I mapped geology in this country south of Lake Chad in the 1960s. Green trees would have been a blessing. BTW, how many of these researchers know that the dry savannah trees are fireproof. Now I wonder why that would be? Those clever trees knew we humans would be doing stuff to the climate that would cause wildfires. Lose the catastrophic histrionics and call it cascading regime shift. Hardly a catastrophe for the trees. So the savanna shifts north to the Sahel? On the main, they have little understanding of anything that doesn’t involve computer models. Period. I can not find whether Umbrella Thorn Acacia (Acacia tortilis) is C3 or C4. Without researching, almost certainly C3. Acacia is in the pea family like Blacklocust or Honeylocust, so it might be a nitrogen-fixer. But not C4. Acacia tortilis subspecies is a leguminous tree, so their roots host symbiotic ammonia oxidizing bacteria which make Nitrogen available to it. The curious thing about Acacia tortilis is that the soil under it has one of the highest diversity of non-bacterial microbial lifeforms found under trees. These varieties of diazotrophs also have ammonia oxidizing genes; and, it turns out that the ammonia oxidizing archaea are even more significant than the classic ammonia oxidizing bacteria in terms of total useable Nitrogen. Lead article above doesn’t account for things like this Acacia “gift” to different grasses below it. Some grasses will not show any increase at all from commercial nitrogen supplemental fertilization and yet that same grass variety will then noticeably grow more in soil enriched with ammonia oxidizing archaea. It is generally seen that where commercial Nitrogen fertilization is applied to soil this leads to diminished ammonia oxidizing archaea diversity and less of their beneficial contribution. Impact on the biosphere of increased carbon dioxide levels is much less than its effect on climate change. It appears that the accumulation of carbon dioxide can be a very temporary and transient condition in an area. But this is not a permanent phenomenon. However, I agree with Pamela Gray. Today, one should not overlook that the wild fires in Colorado is acknowledged to relate to the increased carbon dioxide in the atmosphere. Do you have ANY testable, verifiable evidence showing that increased CO2 causes “climate change”? If so, produce it. Show a conclusive, direct connection. If you can. 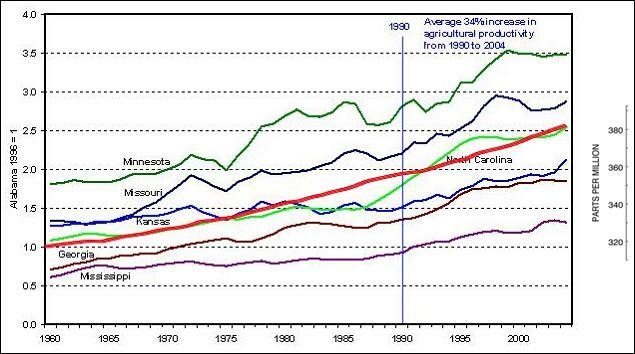 And in Colorado now, as in the planet’s atmosphere, increased CO2 is an effect, not a cause. Not using such language means funding drys up! I agree with many other sentiments expressed here, where do we humans get off thinking we can pick a point in time and say “this is normal, everything else is abnormal”??? The hubris is only superceded by the disingenuous use of big words that mean nothing. HUH?? ?, Increase carbon dioxide now start wild fires? Spontanious Combustible CO2…. hmmm , do you have 5 Sigmas on that claim? “is acknowledged to” by whom?? “…..its effect on climate change…..”. there is no hint to “CAUSE”. So there is no challenge on “EFFECT”. You are quite right. I should have added the word “UNFORTUNATELY” to that part of my comment “….one should not overlook that UNFORTUNATELY the wild fires in Colorado is acknowledged to relate….” to show you it was not my view. I suspect that English is not your first language. So maybe it’s a language thing. But I would still like to see verification of CO2’s effect on climate. If any. The contribution of carbon dioxide to the warming is expected because of the “greenhouse” effect and the main question is how large it is. The greenhouse effect is nothing else than the absorption of mostly infrared radiation emitted by the Earth by the “greenhouse” gases in the atmosphere, (of course mainly water vapor), but in this case we are discussing about carbon dioxide, one of the five most important gases causing this effect after water vapor. Others here have already mentioned the issue of grazing animals. Apparently, and not surprisingly, nature is far more complex than even one or two particular species affect on a system. Some time ago I ran across an intriguing article about very significant decrease in trees lining rivers in Yellowstone National Park (USA). The change was attributed to man’s elimination of apex predators – primarily wolves. Which resulted in an explosion of the numbers of large grazing animals (elk? deer? both? I don’t recall the exact species) that typically eat new tree sprouts damaging them to the point that they die off. Voila, less trees. Add to it any changes in jet stream and therefore rainfall patterns…. So much of what passes for research and science these days seems to try to take the most simplistic view and then apply the results as if it functioned in a vacuum – with no attention paid to or mention of other known confounding factors. Discouraging and a bit scary doesn’t even begin to cover the state of affairs. Oh, and as to the term “catastrophic regime change” or similar – I may be off here, but I think that phrase has been used in biology and ecology long before the whole AGW thing began. That it’s just a way to describe any relatively sudden shift in a biological/ecological system. It would be really interesting to know for sure approximately when the term did first go into use. Awfully easy to take issue with it these days simply because of CAGW and all the catastrophizing, sensationalizing, FUD spreading, and so on that is so prevalent these days. The flip side is that a lot of species depend on savannahs for survival. Giraffes and large herds of wildebeest, etc., couldn’t survive in dense forests. On the other hand, the skyrocketing African population will raze any new forests to the ground before they get a foothold. Let me repeat: I would still like to see verification of CO2′s effect on climate. If any. Got facts? So far, you have posted no verifiable facts. unusual for the ABC to print something that isn’t 100% eco-rubbish. plants adapting?? I would still like to see verification of CO2′s effect on climate. If any. If you mean the “exact effects to seven decimal places” that’s a crazy standard of proof. If you mean “verification that CO2 can and does affect climate”… well that’s been done. We demonstrate that CO2 absorbs infrared radiation, thereby impeding outward flow of heat energy from the Earth, well that’s a demonstration that CO2 affects climate. How it affects climate is different from the simple, obvious fact that it does affect climate. One of the standard results is the amount of additional heating of the surface that is observed as a result of CO2 trapping of heat energy, the exact amount may be questioned but it’s on the order of 30°C. If you mean by evidence that it has to be directly observed, that’s just silly. You’re redefined the process of science into something useless. 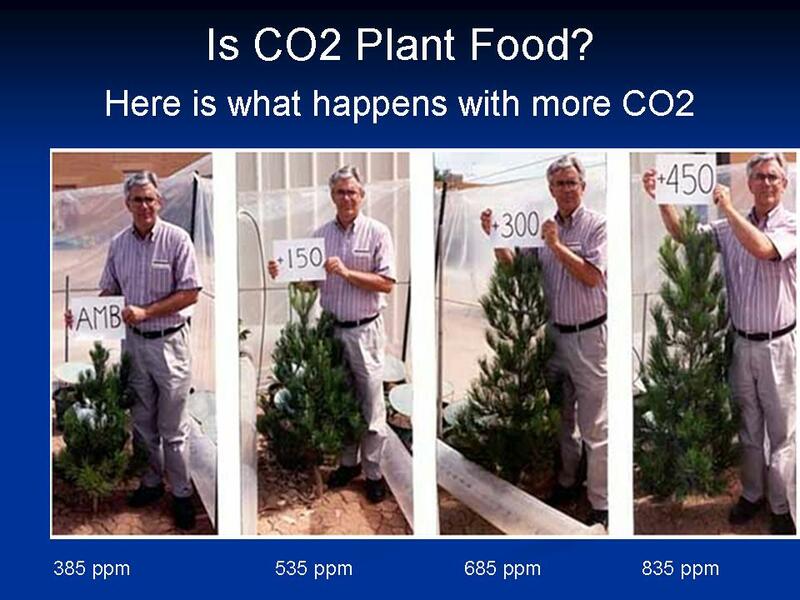 If you accept that physics does work (so in fact there’s a reason your car actually works, it’s because of the same types of physical evidence-based reasoning), we know that CO2 affects climate, and it has a substantial effect..
We can demonstrate that CO2 affects the hardiness of plants (see figure) that’s a demonstration too. Changes in the atmospheric properties, temperature, precipitation, gas constituents, etc that affect plant hardiness are a measure of climate change, so that figure is a visual confirmation that increases in CO2 has a substantial impact on climate. That CO2 affects climate is really not in doubt, except by people who have exceptionally wacky notions of how physical law works. The details about how much warming to expect, effects on precipitation, etc., almost nobody in the media gets right what the models and science in general predict, and the models and science are generally wrong, except for parameters that they explicitly or implicitly tune for such as global mean temperature (e.g., modeled precipitation is way off). Some people choose to define the problem of “verification of the impact of CO2 on climate” to be one that is impossible to ever demonstrate. That serves no practical value and is just pure sophism, from my point of view. Yes, that is exactly what I mean: show me evidence. Without evidence, you are simply speculating based on your own personal belief. That doesn’t cut it here. Maybe I wasn’t clear enough. I am not disputing physics. I am not disputing that the rise in CO2 is greening the planet; it is. I am disputing the central tenet of runaway global warming believers: that the rise in CO2 causes quantifiable effects on the planet’s ‘climate’, by which they mean global temperature. If you can show verifiable effects on the planet due specifically to human CO2 emissions, produce your evidence. Post it here. And keep in mind that computer models and pal reviewed papers based on models or conjectures are not evidence. Evidence is verifiable, testable data. The only evidence so far shows that CO2 is entirely beneficial. At current and projected concentrations, CO2 is harmless. It is essential to life on earth. It does not cause runaway global warming, or any identifiable harm to the planet. More is better. Does that make it clear enough for you? Yes, that is exactly what I mean: show me evidence. Without evidence, you are simply speculating based on your own personal belief. “….That CO2 affects climate is really not in doubt………….. Some people choose to define the problem of “verification of the impact of CO2 on climate” to be one that is impossible to ever demonstrate. That serves no practical value and is just pure sophism, from my point of view.” ALL CORRECT. 1.To debate the notion that CO2 as a gas traps outgoing infrared radiation, hence leading to a greenhouse effect, is a refutation of basic physics. ( You said: “I am not disputing physics”). 2.The notion of a CO2 influence on earth’s climate, continually tested and proven through nearly a century of primary research. 3.There are several papers on CO2 being harmful to the marine biosphere the largest source of biomass on the planet via ocean acidification. The potential inhibition of calcifying organisms can in no way, form be characterized as “beneficial to the biosphere”. 4. If you do not believe that ocean acidification is a real phenomenon, then you have to reject acid rain as a real phenomenon. Unfortunately, acid rain has already demonstrably happened. 5.Personally, I incredibly not worried about CO2 in the atmosphere imminently leading to an Armageddon Scenario. But that does not mean we should not research the issue at hand, the better to understand any future potential complications at play. Carbon dioxide is produced under certain conditions. In practice, sources of carbon dioxide, including that resulting from natural or human factors, they do not produce pure carbon dioxide, for example, forest fires, volcanic activities and incomplete combustion of fossil fuels. Carbon dioxide is not a pollutant. But its production sometimes is associated with soot and aerosols. However, the formation of soot or Black Carbon (BC) is widely influential in climate change. Black Carbon gives a short-term, but powerful boost to heating the planet. It is a “short-term” climate Forcer, acting for a few days in the atmosphere and a few months on snow and ice. So, reductions in BC have immediate, but not long-term effects on global warming. Each CO2 molecule continues to block heat loss from the Earth for the 100+ years that it stays in the atmosphere. That is why CO2 is known as the Biggest Control Knob” for the climate. Wrong. And there is zero evidence that CO2 is a “control knob” for the climate. You get called on it when you post that nonsense here. We are past the point where additional CO2 matters. You’ve provided a diagram for “residence time of atmospheric CO2”. Here you can see 37 different states. 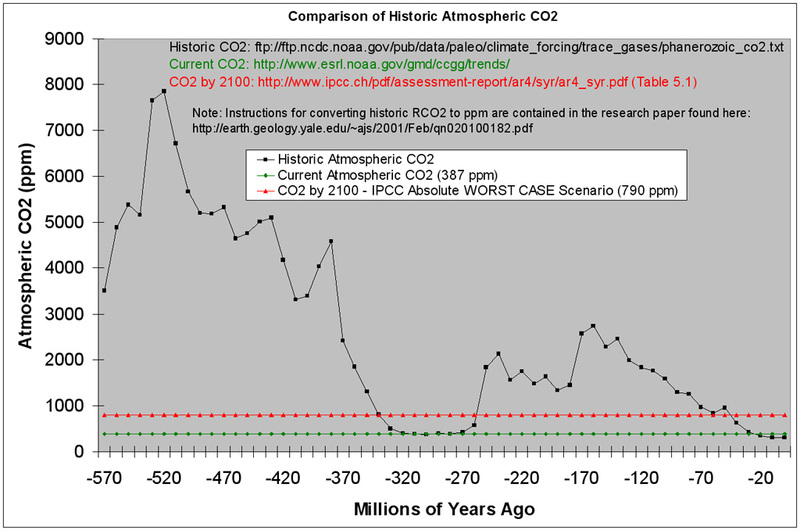 So you made your reference WRONG to show that the residence time of Atmospheric CO2 is less than (100+). Thank you. But this (100+) was not your main problem with my comments. You asked for “evidence”. Hopefully you got the “evidence” you were looking for. Carrick: We demonstrate that CO2 absorbs infrared radiation, thereby impeding outward flow of heat energy from the Earth, well that’s a demonstration that CO2 affects climate. How it affects climate is different from the simple, obvious fact that it does affect climate. CO2 is a trace gas and as such via its physical properties can only affect the environment in proportion to its mass. This is basis physical science which btw Al Gore failed. You have made the same fundamental mistake (logical fallacy) all AGW proponents make, the use of the inane to claim an extreme. It is a well demonstrated fact H2O vapor is far more of a greenhouse gas than CO2 in ADDITION to its overwhelming quantities in proportion to CO2. And NO, CO2 does not alter the H2O quantities in the atmosphere which is a central thesis of AGW. The IPCC deliberately did not include H2O in the global warming index chart of gases by wrongfully and deceitfully claiming humidity, i.e. water vapor does not change over time and therefore is irrelevant to consider which I call the “all things being equal fallacy”. AGWers want to have it both ways, first they claim water vapor doesn’t change and then they claim CO2 levels change humidity levels causing droughts and floods. AGW is specious double think or cognitive dissonance masquerading as logical thought. “The contribution of carbon dioxide to the warming is expected because of the “greenhouse” effect and THE MAIN QUESTION IS HOW LARGE IT IS…”. You are trying to recall the fact that increasing carbon dioxide in the atmosphere never coincides with increasing temperature. It can be concluded from the above discussion and your references that, firstly, the impact of atmospheric carbon dioxide on temperature is not ruled out, and secondly, this effect is negligible. I would be grateful to have your full references from The University of Chicago in this regard. As for the references, I copied and posted the link, but it is not my creation. But I believe it to be accurate, as I have seen similar charts elsewhere. If you go here you will see an email address at the top. I’m too old to do homework, except for myself. Yup, like the ice cores, CO2 upticks occur because of the temperature – a forest fire can reach 1200C+ and generate a lot of CO2. Acckkii, also, your thing about rising CO2 not contributing much to plant growth. Get a grip. We are talking about creatures made mainly out of C – where do you think it came from? 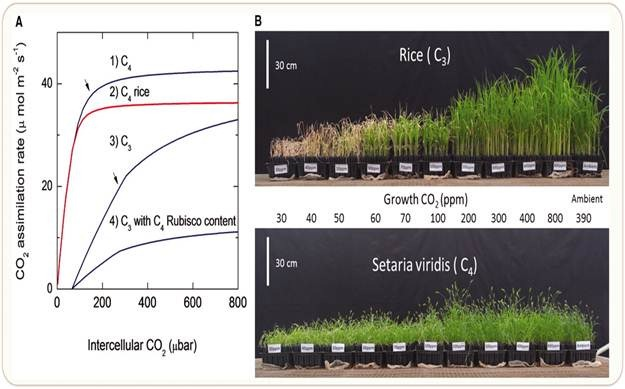 Note also numerous papers (one recently here on a CO2 experiment with rice) – greens have attacked the “fertilizing” effect of CO2 because it is so darn obvious. They want it to stay in the atmosphere to make more heat. The pesky stuff even disappears into the ocean so the greenies have raised the spectre of ocean acidification. They are trying to cut CO2 off at the pass – but don’t you fall for it – your too old for that at 62, even though you are a spring chicken compared to me.